Live Action writer Cassy Fiano discussed how Planned Parenthood and other abortion facilities deal with the bodies of aborted babies. Abortion facilities have stored aborted babies in freezers and closets, dumped them into garbage disposals, flushed them down toilets, and burned them in bonfires. The bodies of aborted children have even been found in dumpsters, violating bio-hazard/medical waste laws. In another Live Action video, former abortion worker Marianne Anderson describes how abortionists sifted the remains of aborted babies and examined them. One abortionist, she says, talked to the dead babies, saying things such as “where’s your little arm….there you are! Now where’s the head? Where’s this?” while trying to locate all the parts of the baby. He had to do this in order to make sure the abortion was complete. 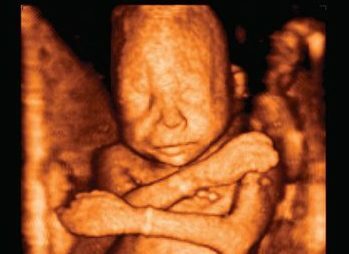 Another abortionist described the aborted babies as “cool” and marveled at being able to see all the parts, including blood vessels. Watch the video below. I used a simple kitchen strainer, over a sink, and sifted through the contents of the collection jar after an abortion. I had to make certain all the body parts of the baby were accounted for. The garbage disposal was available and used for the placenta and any other tissue that had fallen into the sink. At that time, I was instructed to place the babies into a simple plastic container and packaged to be sent to a lab for disposal. The clinic reportedly hired a company which would send a truck to pick up the babies. Maybe this is a way the state could tell the abortionist how to dispose of the bodies. Other abortion facilities merely dump the remains of aborted babies into the sewer system. The body parts of little children have been washed down sinks or flushed down toilets. I worked in the clean-up room, in my opinion the worst part of the clinic because it was so messy. You had to wear rubber gloves and it was like washing dishes. That’s where the babies were brought back. At the time I worked there, they only did first trimester abortions; they didn’t have facilities to do second trimester. But, oftentimes, second trimester abortions were performed and these babies we would not put in the little jar with the label to send off to the pathology lab. We would put them down a flushing toilet. They had a toilet that was mounted to the wall, and it was a continually flushing toilet; it didn’t have a lid or a handle. That’s where we would put these babies. They knew that they couldn’t turn them in or they were going to be found out that they were doing abortions which were too late term. This is what I participated in while I worked there. In both these cases, medical waste was flushed into the sewer system, which is both unsanitary and disturbing. Sparks’ clinic flushed the bodies of older aborted babies in order to hide what they were doing. They were clearly in violation of health regulations both in the way they disposed of aborted babies and in the fact that they were doing abortions later than allowed. First-hand testimonies like these show what happens to the baby after an abortion. The bodies of innocent children, victims of abortion, tossed, flushed, and disposed of in the most insensitive, inhumane ways.